Fresh Coat of Paint: We are Women Hear us Roar... And Watch us Enter the Real Estate Market in Record Numbers! We are Women Hear us Roar... And Watch us Enter the Real Estate Market in Record Numbers! 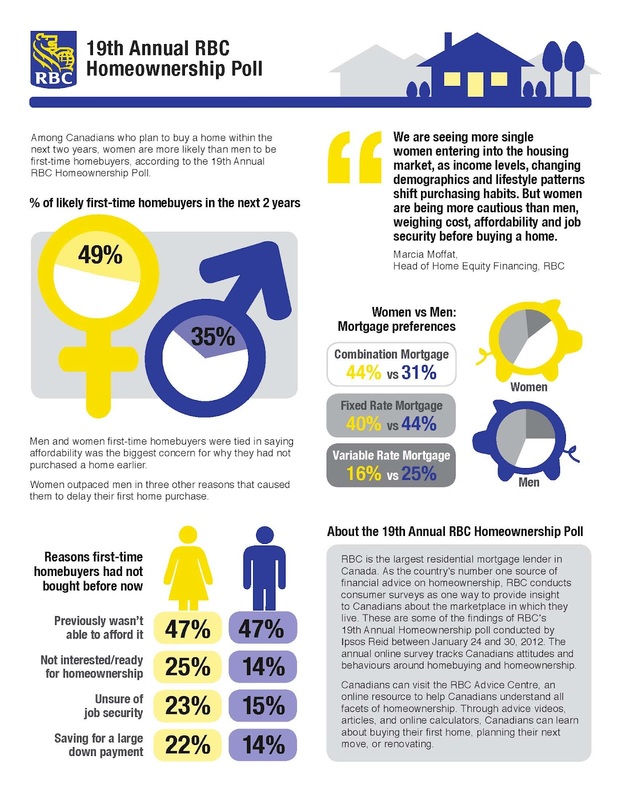 With RBC's 19th annual home ownership poll showing us that women are more likely than men to be first-time buyers in the next two years, it seems that Sandra Rinomato's new show, Buy Herself premiered at the perfect time. Like men, women looking to purchase their first home prioritize down payment, job security and readiness at the top their list of concerns although an interesting difference between the genders crops up where rick tolerance is concerned, with only 16% of women (versus 25% of men) willing to take on a variable rate mortgage. Rinomato has already seen success with her show Property Virgins and I'm interested (both as a real estate agent and as a woman who purchased my first home on my own) to see how she deals with the unique concerns that many single women have in terms of security, a single income and many other factors. I'm also wondering how they'll inject drama into the show without couples disagreeing on which property to buy... Perhaps we'll see some crazy characters or overly involved parents. After all, it is television first and reality second! Is Buying U.S. Real Estate as Easy as it Sounds?